Every year, Premium Christmas Wreaths offers a selection of the world’s best wreaths, Christmas trees and holiday decorations. Because of the annual nature of our products, we’ve come to rely on earing the business of repeat customers. 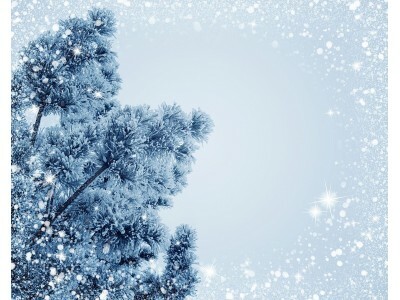 Whether it’s CEOs and salespeople purchasing corporate gifts for their most valuable clients or families looking for a majestic Douglas fir to adorn their living room, we aim to offer the largest selection of Christmas trees and wreaths while also providing a superior level of service to every one of our customers. In this post, we’re going to look at what you can expect when you celebrate the holiday season with products from Premium Christmas Wreaths. We go to great lengths to ensure that the fresh Christmas wreaths and trees that we offer are the best available. In fact, we’re so confident in their quality that we offer an unconditional, 100% satisfaction guarantee. If, for any reason, you’re not completely satisfied, we’ll either ship you a replacement or issue a full refund, no questions asked. Carefully hand packaging all of our shipments, we are able to ensure safe delivery to any destination in the continental United States. With 98% of our packages delivered on their scheduled date, we’re confident that – no matter where you’re located in the U.S. – we can deliver you a vibrant, fresh Christmas tree. At Premium Christmas Wreaths, we’re constantly expanding our offerings. Whether you’re interested in lush Christmas wreaths, swags, greens, garland or trees, our selection is massive and unmatched in the industry. Our offerings range from staunchly traditional to wildly eclectic. So, if you’ve been looking for a premium source for next year’s Christmas decorations – or a great place to pick up corporate gifts – reach out to us today to discuss how we can help!